Dos Armadillos Tequila | Dos Armadillos Tequila in Spirits of México in San Diego, CA. Dos Armadillos Tequila in Spirits of México in San Diego, CA. 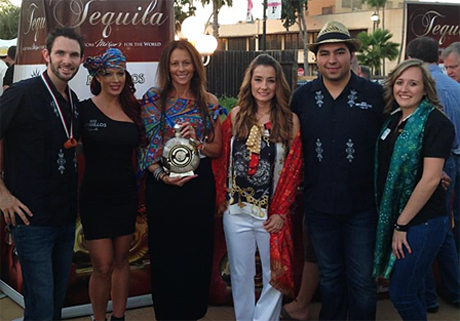 Spirits of México is one of the premier agave spirits tasting events in the United States. The festival showcases a variety of expressions of tequila, sotol, mezcal, bacanora and other agave-based spirits. Dos Armadillos Tequila is making a splash at the event. Stop by their booth and taste the Dos Armadillos difference! Dos Armadillos Tequila at Cimarron Country Club, Mission TX. Dos Armadillos Tequila at ECRM Global Wine, Beer & Spirits – New Port Beach, CA.